Barry Schnitt had already been in on the ground floor of both Google and Facebook when he got the call in 2012 to join Pinterest, at that time an early stage startup in a one-room office in Palo Alto, California. Founded in 2010 by Ben Silbermann, Evan Sharp, and Paul Sciarra, it lets users upload images to virtual pinboards and build galleries around such lifestyle passions as food, fashion, home décor, DIY, and travel. Having performed tech communications jobs from prod­uct PR to business PR, crisis communications, and executive PR, the only things missing from Schnitt’s résumé were running the whole thing and building a team from scratch. "It was definitely a risk to go from a multibillion- dollar, highly profitable public company [Facebook] to a 30-person startup," Schnitt admits. But, apart from the chance to both lead and build, Pinterest ticked two other crucial boxes: Schnitt tried the service and talked to others who had tried it and found people loved it. It also had a unique appeal. "The best, most personal and relevant content wins," Schnitt says. "Whether content is from a blogger, media publisher, or retailer doesn’t matter. We want what’s best for the user." Pinterest’s growth to more than 1,000 staff in four years suggests Schnitt has backed another winner. "I’ve been fortunate to find my way to good com­panies," he explains. "Before I applied to Google, people were talking about it as their best friend, helping them find things they didn’t know existed." Likewise for Facebook in 2008. "People who used it loved it, but there were those who weren’t sure it could go beyond college kids," Schnitt adds. He had the same sense about Pinterest, fueled by a third gauge — a visionary founder or founders. "Larry [Page] and Sergey [Brin] certainly were," Schnitt notes. "Mark [Zuckerberg] is. And Ben and Evan will someday be seen in that way, too." 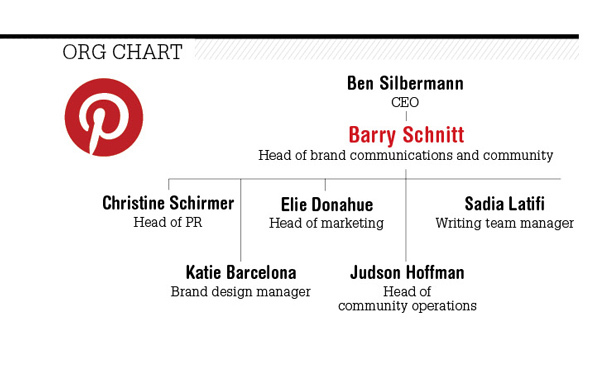 Silbermann and Sharp identified the need for communications relatively early on — Sciarra had exited in 2012 — and one of Pinterest’s early employees who had worked with Schnitt recommended him. "Barry became employee number 30 at a time we were starting to grow very quickly," Silbermann recalls. But communications didn’t come naturally. "Evan and I are fairly introverted," the CEO says. "We didn’t know what to say to the press and were pretty heads-down." The philosophy at the time was, "We can’t put our foot in our mouth if we don’t say anything." Schnitt was Pinterest’s first communications and marketing person, but while Silbermann knew he needed it, he didn’t know what to expect. "The first thing I said to Barry was, literally, ‘What do you do?’"
For Schnitt, that was an oppor­tunity, not a challenge. But he had to go back to first principles when statements such as "if The New York Times wants to meet, you should meet them" were met with a "why?" Schnitt explained, in the most basic terms, "Your [Silbermann’s] time is valuable. The Times reaches a lot of people and is influential. It’s going to help you reach your goals." It also forced Schnitt to be judicious and respectful of the CEO’s time: "He’s a visionary — he’s building a product with a small team." At times Silbermann’s fresh take worked to Pinterest’s advantage despite Schnitt’s initial skepticism. In the early days, Pinterest did a lot of community events, sending out emails to people on its list and saying they’d be at a store at a certain time. They would pick up some cheap wine and give users the chance to get together. Soon after Schnitt joined, Pinterest planned its first press event in order to unveil its initial iPad and Android apps. The newly installed comms lead saw it as a coming-out party for the service, but his CEO was less certain. "Pinterest was invite-only in the early days and had a tight-knit community feel," Silbermann says. "When we did our first press event, I wanted to make it just users. I asked, ‘Why even bring in the press?’"
For Schnitt, inviting users and providing alcohol broke the number one rule of press launches. "You want it to be tightly controlled and for every­thing to go exactly to plan. Introducing the variable of a bunch of people we don’t know having a few drinks is the worst idea I’d ever heard," he remembers. He was only a couple of months out of Facebook, where users would never be invited to a press event. But Silbermann believed people’s love of Pinterest would get them excited and their enthusiasm would in turn spill over to the press. "And he was right," Schnitt admits. "That enthusiasm and chatting up the press did infect journalists. Now we run that play pretty much for every event. A more-practiced CEO wouldn’t have thought of that." 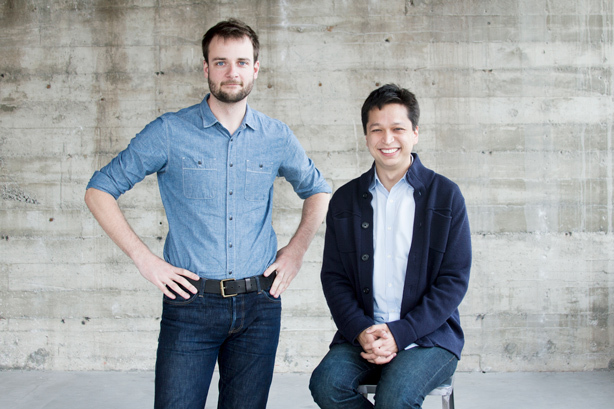 Pinterest is different from most Silicon Valley startups in other ways, too. Unlike many of its peers, which began on the coasts and worked their way in, Pinterest began with women in the Midwest and worked its way out. Our service skews more female and suburban, but that’s changing," Schnitt explains. "We’re well over 50% international now. We help people discover what they love and do those things in real life. "Every Silicon Valley company wants to change the world, and Pinterest is no different," he continues. "On Google they’re maybe looking for an airline deal to a place they know they want to go. At the Pinterest stage, they’re thinking about pictures of sunny places and ‘where’s that beach?’ Then they go to Google to book their trip." Schnitt believes Pinterest is redefining the traditional catalog at internet scale and speed. On Face­book, people do something through an app, such as connecting with another person or seeing interesting or entertaining content, while Pinterest "helps peo­ple find something that will inspire them, whether it’s cooking a meal, redoing their kitchen, or dressing differently," Schnitt notes. Consequently, emerging trends are Pinterest’s bread and butter, because people pin things before they do them. "The Pinterest 100 — comprising 100 emerging trends across 10 categories — comes out every December. Since other end-of-year lists always look back, this is more interesting because it speculates about what’s going to happen rather than about what has already happened," he explains. Trends such as "10 spices you didn’t know were trending" make great media stories. For such commercial partners as Kraft and Nestlé, the alignment with emerging food trends is a no-brainer. "The sum of Pinterest activity tells us something unique about how people think about unique things," Schnitt points out. "It tells us what’s trending in flatware, for instance, which is hard to get elsewhere." For this reason, unlike services such as Twitter, Pinterest has been able to commercialize its platform without jeopardizing its secret sauce. 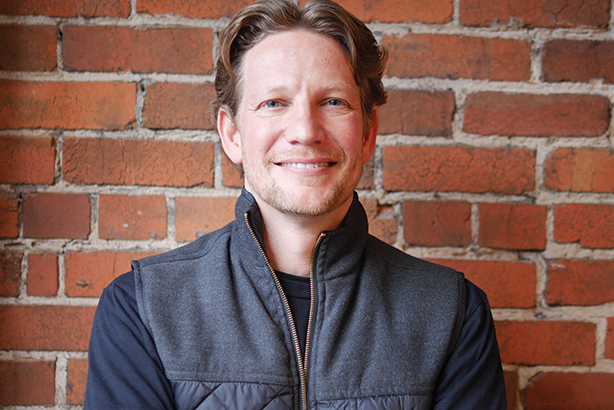 "In the past year, advertising has been a zero-to-one product — we started from scratch and built a whole new system," Schnitt says. While other services have demographics-based look-alike targeting, Pinterest finds people based on real behavior. "Pinterest is ‘act-alike’ because of the way people use it," notes Schnitt. "We take away the proxy. Pinterest is about things they want to do rather than about things other people do." Facebook incentivized companies to build brand pages and then ratcheted it back, burning advertisers, but Schnitt says commercial content is organic and of equal value on Pinterest. Overcoming initial competitive snobbery about a lifestyle service used primarily by women that grew in a nonstandard way, rather than through tech elites, added to Schnitt’s challenge. It bucked another Silicon Valley trend in that more women work at Pinterest than do at most tech com­panies — more than 40%, especially in engineering, where such early hires as Tracy Chou set the standard. In 2016, Pinterest didn’t reach its goal of a 30% hiring rate for women in engineering, ending the year at 22%. The brand updated its women in engineering hiring rate goal to 25% for 2017, but still aspires to hit the 30% mark in the near future. "It’s hard to make products for people who are not like you," Schnitt observes. "Pinterest is one of the more-diverse tech companies. 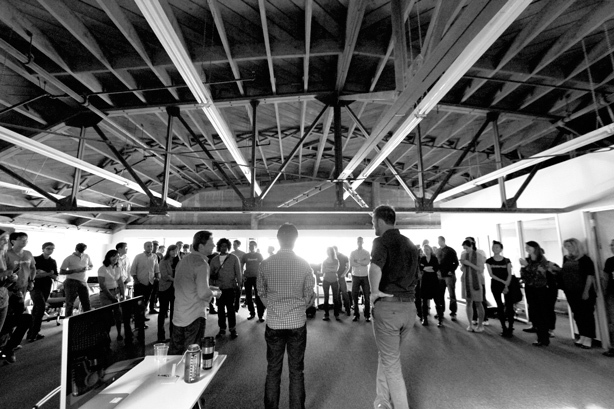 That’s a real advantage in building products for a diverse group of people." "There’s an established track. Most people who went to Google worked at Yahoo, then went on to Facebook," Schnitt explains. "It’s self-perpetuating. Breaking that cycle is hard and requires people who value different skills and experiences." Pinterest still skews female and suburban, but that’s changing. It’s in the top 10 U.S. brands on Prophet’s Brand Relevance Index, alongside such stellar names as Amazon, Apple, Google, and Nike. "The fact that a six-and-a-half-year-old company with 1,000 employees is next to Nike speaks to how the product resonated," Schnitt says. "We have passed 150 million users and 75% of new users are from outside the U.S., 40% of whom are men. Revenue is growing well." There are no plans for an IPO. We’re focused on building a business. If we do that right, the other things will fall into place. The CEO is on message: "I’m proud of what we’ve built, but we have a long way to go and that’s where my attention and time are being spent." Early on, Silbermann asked Schnitt, "Why don’t you handle all our messaging?" He didn’t distinguish between PR and marketing — or anything else. "Anything that comes out of the company, help us figure that out." Schnitt relished the opportunity, but says he "total­ly under­estimated building a team from scratch." As there was no team, there was no infrastructure or core messaging, either. "I assumed Ben knew more and wanted more from me and communications than he did," Schnitt says. For Silbermann, "the most important thing is judgment, and that’s where I lean on Barry, to make sure we understand who the audience really is, that we’re meeting them where they are and drafting communications to achieve those goals." As with other growing companies, Pinterest navigated tricky topics and faced the heavy scrutiny that comes with being in Silicon Valley, but it was clearly doing something different, too. "Barry seemed to get that," says Silbermann. "He was able to meet reporters he knew from his time at Google and Facebook and bridge that divide. The tech community has long been seen as lacking empathy concerning the impact of its disruptive innovations. As a longtime Bay Area comms veteran, ­Barry Schnitt concedes the point, but adds, "People still look at Silicon Valley and admire its entrepreneurial spirit and democratizing effect." Pinterest CEO Ben Silbermann says Silicon Valley is hardly unique: "Major urban areas dominated by one industry could be more in touch with how they’re the same and how they’re different from other folks." Tech firms have let themselves be politicized and threatening to established points of view, which influences their portrayal. "Tech companies have a particularly big impact," Silbermann asserts. "It’s important they stay in touch with what’s going on."